Dear people of Oostwold and neighbours! The last time we could give you a big update about the Zonnewal-project was in May, when we had a gathering in the Gaveborg. We told you about the progress up to that point. How the idea for the Zonnewal had taken its pretty much definitive shape, how students studied the support in and around the village, how you can switch to ECO as your energy supplier and that Oostwold (and therefore, the Zonnewal) was chosen by the Groningen province as one of the six ‘example villages’ to serve as a blueprint for other villages and towns that want to become energy neutral. Also, a short film about the Zonnewal had its premiere that evening – a film in which we explain what the Zonnewal is all about in two minutes. It’s December already, and you haven’t heard from us for a while now. But that doesn’t mean nothing is happening. We meet almost weekly as a project group, attend almost all relevant meetings and events (regarding energy transition) in the region – as long as time permits, because we all do this project next to a full time job and/or company. While we make progress almost every week, sadly, we cannot inform you every time. We are continuously talking to many parties, such as Provincie Groningen (Groningen Province), gemeente Leek (Leek municipality), Rijkswaterstaat, Waterschap Noorderzijlvest, Enexis, solar panel suppliers, our Zonnewal building partner Enviso/DBG and other parties such as the owners of some pieces of land near the A7 highway, where the Zonnewal will be built. In order to not interfere with decisionmaking it is important for all government parties to agree, before we make anything public. We are proud and happy to announce that this is now the case! 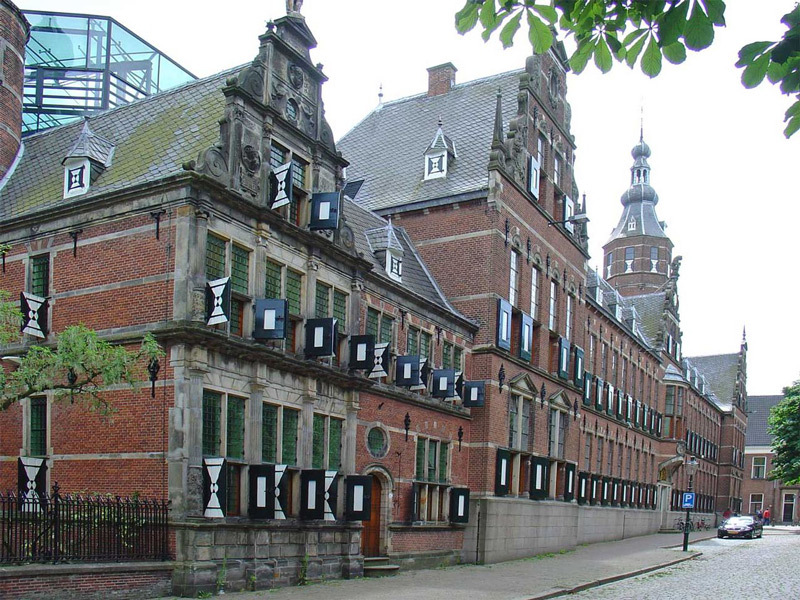 Parties such as Provincie Groningen and Gemeente Leek had a very positive attitude towards the Zonnewal, but it has taken a long before everyone was at the same table AND reached an agreement about a thorough and purposeful approach. Provincie Groningen and Gemeente Leek are now in the forward mode which means that they are convinced of the plans and willing to cooperate. We are now working with them to prepare the necessary permit/licence application. Apart from this, we have a new partner: the consortium of companies that carries out the reshaping of the Zuidelijke Ringweg in Groningen. This project provides a huge amount of dirt – and what place is better to bring it to than the Zonnewal, which is not even 10 Kilometers away from the Julianaplein? We hope that we can start a great cooperation with them. These to factors have given the project a gigantic boost, and therefore we are confident to announce that we are now in the final phase of planning. We are now working out various details with the government partes, but are also still in talks with land owners. The lots next to the A7 are propery of some government parties (Gemeente, Waterschap) but also owned by a few private owners. Most of them are very enthusiastic about the plan and they have given their cooperation by signing a statement of intent. This statement says that they are willing to sell a piece of their land that adjecents the A7. With some parties we are still negotiating to reach an agreement. As soon as we reach an agreement with all land owners, we can finalize everything with the order parties. We will then proceed to apply for the necessary licences and permits and as soon as they are approved – building can start! Of course, we will notify you right away when this happens! 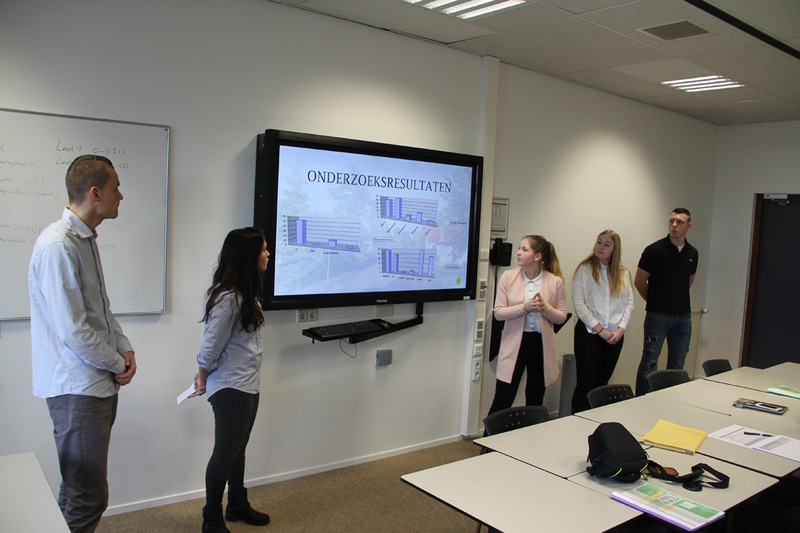 On Februari 2nd, a group of Communication students of the Hanzehogeschool in Groningen have presented the results of their research. This research was conducted in november in Oostwold. They have gone door to door and asked as many households as possible about their knowledge of the Zonnewal-project and their opinion on the matter. The spectacular conclusion they could draw is that not a single person asked, indicated not to be enthusiastic about the project. On the contrary: of the 67 respondents, 53 were familiar with the project and were enthusiastic about it (79%!). 13 people indicated that they would need a little more information to form their opinion. Of course, in the next few months, we will do just that. Given the number of households in Oostwold, a response of 67 people is relatively high. These are the households where, at the moment the research was conducted, someone was home and willing to answer a short survey of five questions. So, this survey provides enough data to draw reprentative results. Almost anywhere where someone was home, the person at the door took part in the survey. We are thankful that you took the time to participate in this and even more happy about the remarkably positive results. These good results are on par with the positive reactions we got at the information evening in the Gaveborg in march 2016. This overwhelming support is strenghthens our conviction that the Zonnewal will offer something beautiful for everyone in the village: from sustainable energy production, highway noise reduction or the fact that attractive walk-, bike- and bridleways will be built – the Zonnewal makes living in Oostwold even more attractive than before. We would like to thank Frank Westerveld, Maaike Wouda, Marc Boonstra, Fyline Weijermars en Daphne van Grevenhof for their hard work. Not only have they conducted this research, but they also devised a communications plan and some other stuff that you will see very shortly! Yesterday, we received the wonderful news that the Groningen Province has selected Oostwold and its Zonnewal Project as one of the energy-neutral “example villages”. The Province gave 27 local projects the opportunity to present their project and be given the chance to call themselves “example village”. On behalf of the Zonnewal Project Group, Kees, Sip, Geartsje and Jannie have given a presentation in the Provinciehuis on November 28th, 2016. Yesterday, the Province announced that not five, but a total of six projects have been selected – and the Zonnewal in Oostwold is one of them! Not only does this mean that we have the Province’s support for the Zonnewal, but also their active support in making it happen. The Province strives to make the energy production 100% sustainable by 2050 (and by doing so, make Groningen the first energy-neutral province in The Netherlands). To achieve this goal, the Province will actively support local initiatives that improve sustainability in order to increase the speed of the energy transition. The programma energietransitie 2016-2019 (energy transition program 2016-2019, Dutch) is meant to play an important part by appointing six projects as ‘pilot projects’. The Province offers their network of experts in order to make realising these projects easier and to be able to use them as a ‘blueprint’ for other, future projects. You can image that building the Zonnewal is a vast and complex project and the Province’s help is very welkcome.